Switch hardware sold 180,585 units last week. Pokemon: Let’s Go, Pikachu! and Pokemon: Let’s Go, Eevee! sold 664,198 retail copies within its first three days of release in Japan, according to Famitsu numbers. 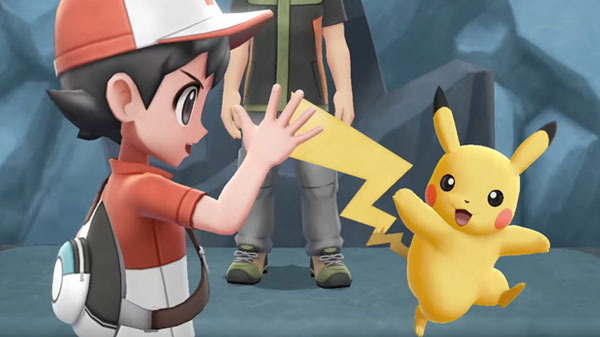 This number includes physical game copies, Poke Ball Plus Packs, download cards, and Pokemon: Let’s Go, Pikachu! and Pokemon: Let’s Go, Eevee! Switch hardware bundles, but does not include digital sales. While Splatoon 2 remains the highest selling Switch title in its first three days in Japan at 670,955 sales, Pokemon: Let’s Go, Pikachu! and Pokemon: Let’s Go, Eevee! come in at second. Switch hardware also sold 180,585 units between November 12 and 18, which is three times the 53,385 units it sold the previous week. Pokemon: Let’s Go, Pikachu! and Pokemon: Let’s Go, Eevee! launched for Switch on November 16.